In this article, you can find and download Dream League Soccer (DLS) Sampdoria Kits and Logos 2018, 2019 Edition with URLs. Sampdoria is a professional football club in Italy. The club was formed in 1946 by the merging of two clubs named Sampierdarenese and Andrea Doria. The team plays in the highest division of Italian football i.e., Seria A. Stadio Luigi Ferraris is the home ground of Sampdoria football club where they play their home matches in multiple tournaments. It has a capacity of 36,536 audience to withstand at a full packed stadium. 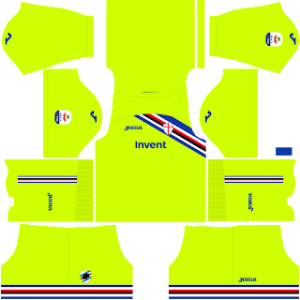 Sampdoria are commonly known by the name of Blucerchiati (The Blue-Hooped). Marco Giampaolo is the current coach of this Sampdoria side, managing the tactics and using the players as per their skills. In Dream League Soccer you can play matches in different kits and logos. You can also play in Sampdoria’s kits by downloading it from the URL provided below. You can use this kits in DLS by clicking the URL to download the Sampdoria home kit 2018-2019. You can use this kits in DLS by clicking the URL to download the Sampdoria away kit 2018-2019. 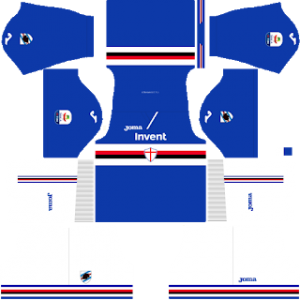 You can use this kits in DLS by clicking the URL to download the Sampdoria Goalkeeper’s home kit 2018-2019. 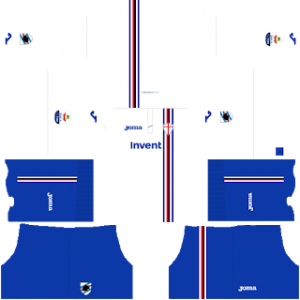 You can use this kits in DLS by clicking the URL to download the Sampdoria Goalkeeper’s away kit 2018-2019. You can use this Logo in DLS by clicking the URL to download Sampdoria Logo 2018 – 2019.